Viva Bianca, was all smiles for the quick snap in a pink-and-grey cashmere sweater and dark shades. She shared a photo of her and American R&B star Miguel at an airport. 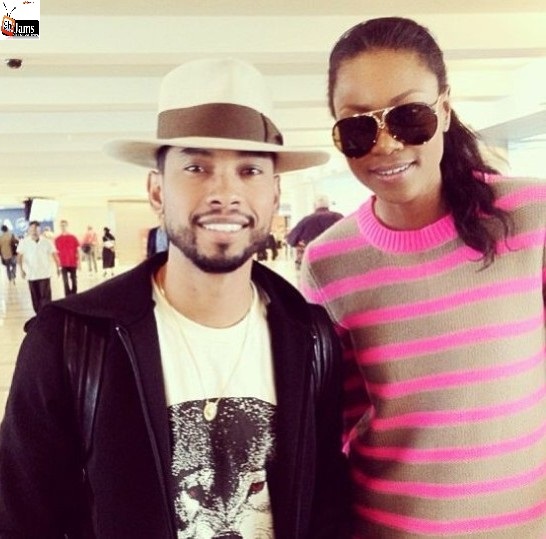 We know Miguel has a girlfriend, but judging from the photo do you think they will make a perfect pair? !